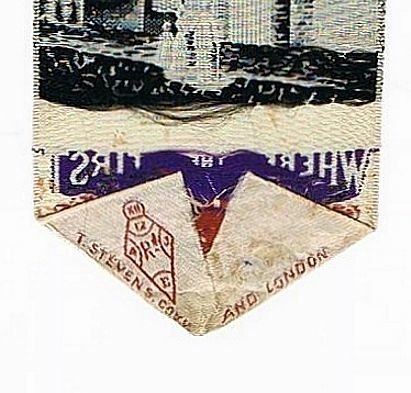 Bookmark collectors can come across diamond registration marks on some of the 19th-century bookmarks from the UK. 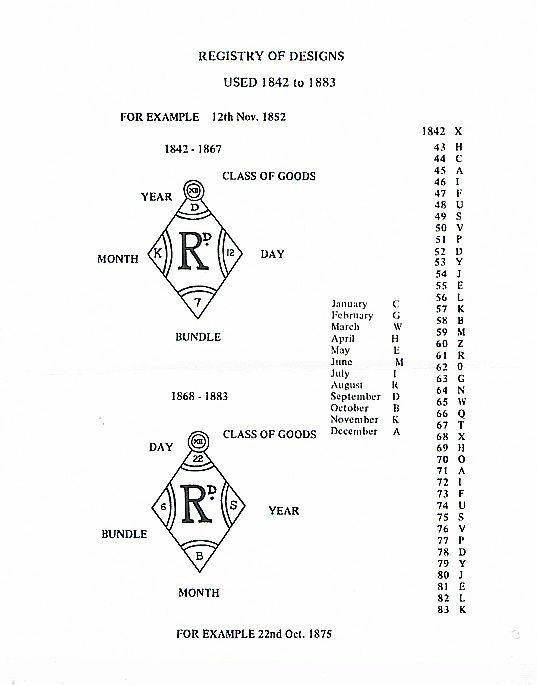 In those days, when bookmark producers registered their designs with the Patent Office they received their registration number along with a registration mark in the shape of a diamond which recorded the essential elements of the registration. A diamond mark showed that an item was designed in Britain and the design had been registered. It also meant that the person registering it had legal protection against others copying it. The embossed registration marks on perforated cardboard bookmarks are mainly covering the period 1855 - 1860, but are mostly hard to identify. The diamond marks display numbers and letters on each of their corners which indicate the actual date on which the design was entered into the official records. However, they do not indicate the actual date of production. Thus although the registration marks represent very useful means to narrow down the age of a Victorian bookmark it must be taken into consideration that the production date might differ by several years from the registration date. ​There are two different types of diamond registration marks: the one used in the period 1842 to 1867 and the other between 1868 and 1883. Fig. 3 shows the differences in the design of these two diamond marks. Fig. 3 Different diamond registration marks used in the periods 1842 to 1867 and 1868 to 1883. The circle on the top of the diamond contains in both types Roman numerals to indicate the class of the goods. 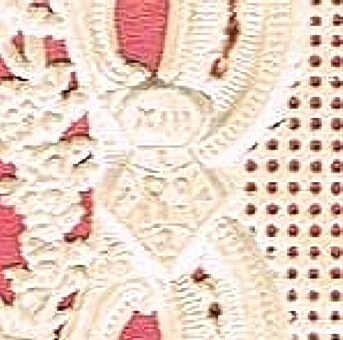 Class XII has been used for silk bookmarks and class XIII for bookmarks with perforated cardboard templates for embroidery, as has been mentioned already further above. The four apexes of the diamond show day, month, year, and the bundle of the registration. The bundle refers to the particular number of entry of that day. 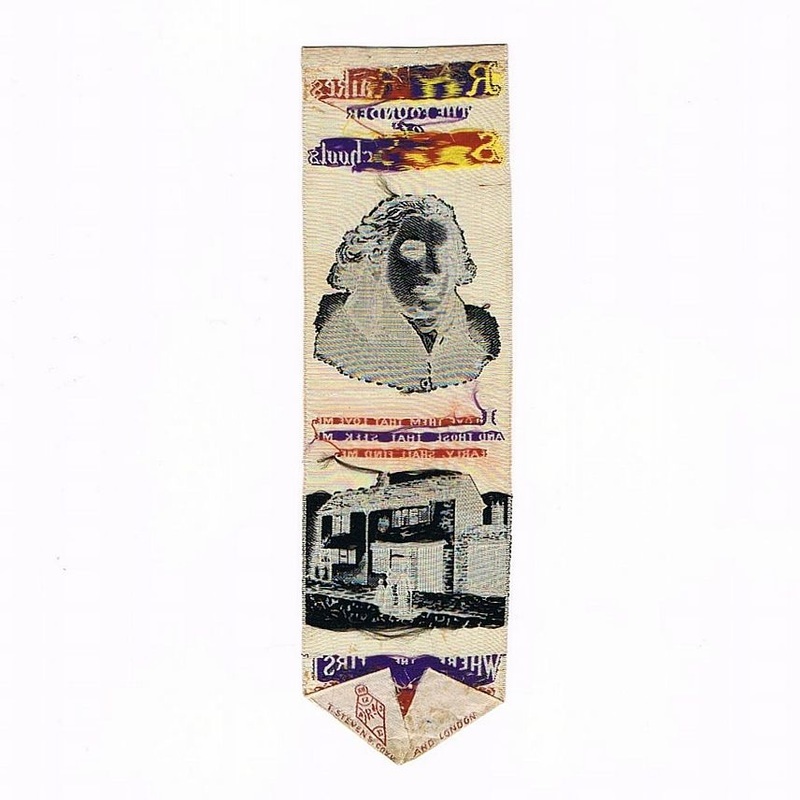 The very first registration of a woven silk bookmark was done on the 18th of February 1862 by John Caldicott. ​Fig. 4 The very first woven silk bookmark registered at the UK Patent Office on the 18th February 1862 for J. Caldicott. There is no diamond mark on this first registered bookmark. For the image in Fig.3 'Registry of Designs' I am indebted to Peter Daws and his site Victorian Silk.